Ever wanted to live in a tropical paradise? 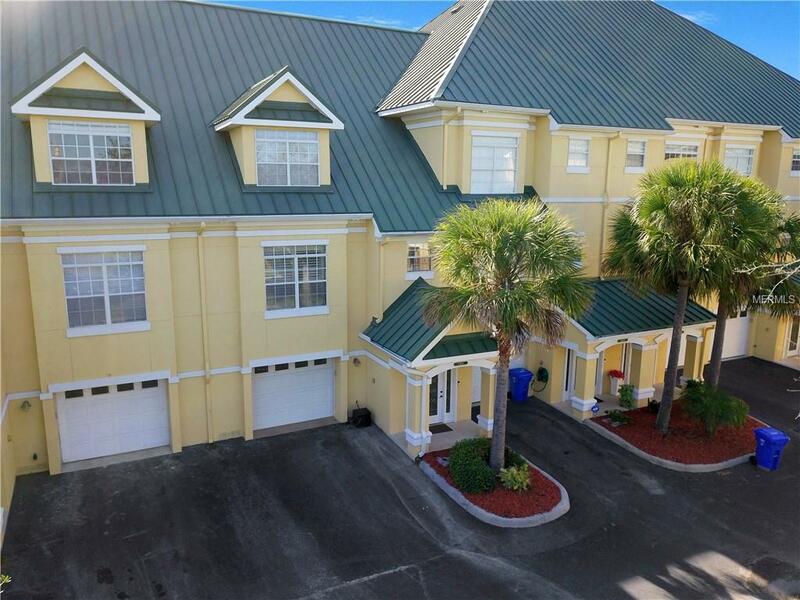 This luxurious townhome has million dollar water views without the price tag! A boat lovers dream! Private entrance, Maintenance free.Watch the dolphins play from your balcony porch and the Apollo Beach boat parade pass by your back yard! Let your very own elevator whisk you up to the gorgeous kitchen and family room. There you have an open and bright layout that looks out onto the water! French doors lead out to the balcony that is screened and has tile. Windows have hurricane film tint. Kitchen is clad with granite counters, pull out shelving in all the cabinets and a wine fridge. Plantation shutters throughout the home!The master bedroom is on the main floor and has beautiful granite counters in the ensuite with large closets! The third floor has the second and third bedrooms. The upstairs bedroom can be used as another master.The bathroom has a garden tub and a barn door for privacy! Garage can fit 3 cars easily. No need to walk up stairs as the elevator takes you to all levels!Boaters have a direct 'no bridge' access to Tampa Bay and the Gulf of Mexico. This is a one-of-a-kind waterfront development! Bring your family, friends, jet skiis, and boat! Community offers resort style amenities like community pool that over looks the water, fishing pier, marina,and more. The HOA includes lawn care, trash, water, exterior pest control , roof and all the amenities. Take your golf cart to dinner at Circles! Need boat storage? Owner has one reserved for your boat! Listing provided courtesy of Remax Paramount Properties.